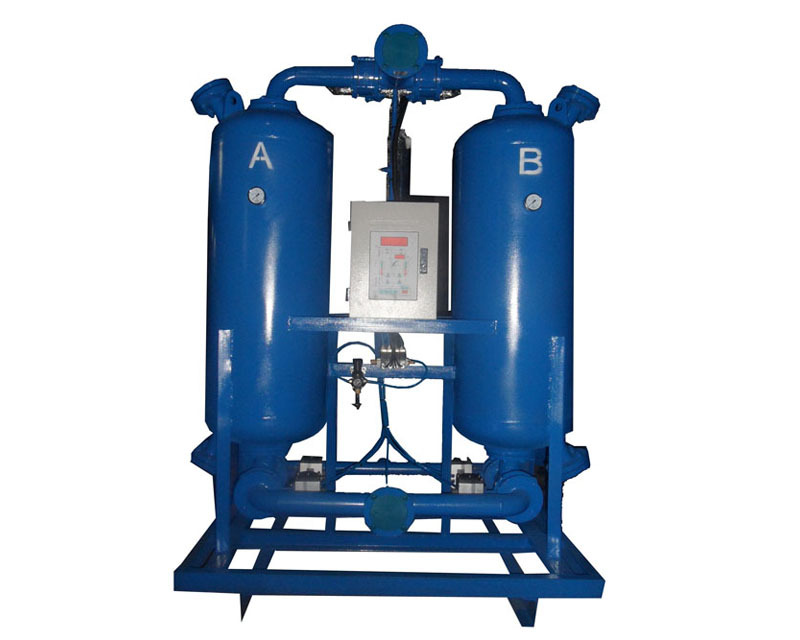 According to the principle of voltage transformation adsorption, with special affinity for water vapor of adsorbent , adsorption of moisture in compressed air. This equipment is made into the twin towers structure, under the control of the program controller, two tower work alternately, a tower under the high pressure absorbing moisture, another tower under low pressure using the preparation of the dry air itself to complete the steam stripping process, continuous cycle to work. 2. Installed environment: well ventilated and has no dust, no oil pollution.